SECOND SCREENING ADDED at 5:00 pm on SUNDAY!!!! By the late 1960s, after various court cases, such police action was no longer prevalent. The 1970s and 1980s brought the rise of identity politics, creating new venues for self-expression. 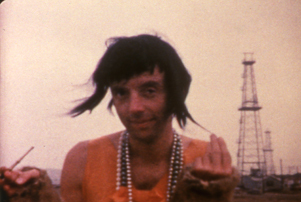 There soon resulted healthy numbers of works with Queer Identity and culture as the subject by makers such as Pat Rocco, and multiple artists from the Woman’s Building – documentaries; fantasies; activist works; news reporting; experimental films – a full range of media art showing the lives and conflicts and creativity of LGBT artists – a point of view not yet found in mainstream media. Restored print from Los Angeles Filmforum. This film was preserved through the National Film Preservation Foundation's Avant-Garde Masters Grant program funded by The Film Foundation. Additional support from the Academy Film Archive. 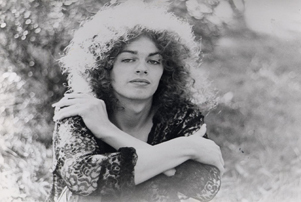 Robert Wade Chatterton was an actor, filmmaker, and experimental film exhibitor in Los Angeles from the 1940s to the 1980s. He founded Bob Chatterton’s Film Society in Los Angeles in the mid to late 1940s in the aftermath of earlier projects by Kenneth Anger, Curtis Harrington and Paul Ballard, among others. A movingly intimate, funny, and unconventional portrait of Linda, a lesbian, and Jimmy, a transsexual, and their loving but uncertain relationship. Produced by the Los Angeles Women’s Video Center. The LA Women’s Video Center was a collective of video artists including Jerri Allyn, Nancy Angelo, Annette Hunt and Candace Compton. A wet hot dream about sensuality. Rocco began his professional career as a singer with his own radio program in the late 1940s; he went on to record an album of devotional music for Cornerstone Records and ministered for Youth for Christ. His talent brought him to the professional stage in a number of musicals. During 1955 and 1956, he toured the country with Marge and Gower Champion and later sang as a member of the Top Twenty singers on The Tennessee Ernie Ford Show. Rocco returned to the stage at the Cabaret Concert Theater, Los Angeles where he gained back stage experience. 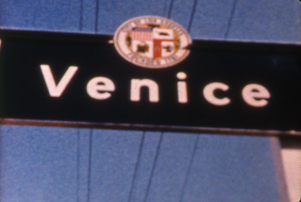 He started filming a large number of gay-themed films – short dramas, nudies, documentaries, and more, many of which screened theatrically in Los Angeles at the Park Theater by Macarthur Park, particularly from 1968-1972. He currently lives in Hawaii.